What is Alcohol Abuse and Detox? Alcohol detoxification involves a thorough physical and psychological assessment before treatment. Here at True Life Recovery we provide a safe setting to detox from alcohol abuse and physical dependency with great support 24/7. Our comfortable home like settings are designed with the needs of the patient in mind to provide a safe, home-like environment to allow the client to detox as comfortably as possible. Alcohol detoxing should only be done by health professionals. There are many potential problematic physical and mental issues that are best handled by health practitioners with specialized training to avoid any harm or health risks that may occur during the detox phases. Our professionals assist with any and all of the detoxing related to alcohol abuse or dependency so that recovery for the client is safely managed in a supportive and caring environment. Acknowledging a drinking problem takes tremendous strength from the individual deciding to change their life and take control again. A person who has the problem who seeks help should be very proud of themselves. Alcoholism and alcohol abuse affects millions of people and their families worldwide. It is nothing to be ashamed of because you are not alone. Every race, social class and culture deals with this issue. It is estimated that around 17.6 American are currently suffering from alcohol use disorder, however, a mere fraction of those with alcohol problems ever seek professional assistance. Even in cases which are very severe, most people that have an alcohol use disorder, would benefit from some kind of treatment. In this article we will discuss alcohol abuse and detox. The entire body takes a heavy toll from long-term addiction. Alcohol has an impact on the heart causing arrhythmias, high blood pressure, cardiomyopathy and stroke. The liver suffers the most and can get alcoholic hepatitis, fatty liver, cirrhosis and fibrosis. The immune system is also weakened by alcohol, this means that those dealing with alcohol abuse and detox are more prone to diseases such as tuberculosis and pneumonia. Excessive drinking will also increase the risk of esophageal, oral, liver, throat and breast cancer. On top of this, most alcoholics have very poor appetites meaning that their diet is inadequate and nutritionally poor. In combination with the physical challenges associated with detox, the body is compromised nutritionally. The world we live in is all about instant gratification, this is why most people wonder how long alcohol detox will take. Depending on alcohol use, severity and other important factors detoxing can take various amount of times depending on the individual. We are used to super quick results so, someone who is about to embark on the challenging path of sobriety feeling anxious about how long it will take and what to expect is very normal. When it comes to alcohol abuse and detox, it is important to bear in mind that detox is merely the first step on a road to recovery which can be quite long. Detox only means that alcohol intake will be abruptly ended and the body must then cleanse itself from every trace of alcohol. Our detox process of detoxing will generally take from seven to ten days. The physical, social, emotional, mental and spiritual needs of the client. The symptoms that are experienced during detox could be mild, a mere headache and a bit of nausea, there are however people who go through severe delirium tremens, these are accompanied by hallucinations and/or seizures. If there is no other drug use, treatment or co-occurring conditions, there is a characteristic course that withdrawal follows, this consists of three phases that are relatively distinct. Acute Withdrawal — During this phase, there is autonomic nervous system hyperactivity, tremors and a risk for DTs and tremors. Within the first forty eight hours after consumption has been discontinued is when seizures and tremors typically occur, after twenty four hours they tend to peak. Around seventy two hours is when DTs typically peaks. During acute alcohol withdrawal, common physiological symptoms include increased blood pressure, tachycardia, irregular body temperatures, diaphoresis and gastrointestinal issues such as nausea and vomiting. Early Abstinence —Throughout the second phase, low mood, anxiety and disturbed patterns will continue, they however no longer are manifested with acute physical symptoms. Within three to six weeks after alcohol consumption has ended, elevated anxiety comes to an end. This phase takes longer for women to move through than for men. Protracted Abstinence — Throughout this last phase, elevated dysphoria, which is a state is dissatisfaction and unease as well as anxiety may not seem obvious, although any kind of insignificant challenge can bring on negativity, cause cravings for alcohol and provoke relapse. The psychological discomfort which accompanies anxiety throughout abstinence is somewhat overwhelming, even after most of the acute physical symptoms have diminished. This is what experts believe plays a prominent role in the increased risk of relapse as well as bringing on the continued use of and/or abuse of alcohol. If you or someone you love has an issue with alcohol abuse it is important to seek professional help before the situation gets out of hand, the longer you wait, the more difficult it can be. It is however never too late to seek professional assistance, recovering from alcohol abuse can be beneficial not only for your physical, mental, emotional and spiritual health but it can also help to bring your family and loved ones closer together. Alcoholism affects everyone, not just the alcoholic. 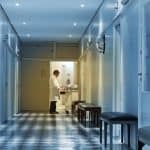 When it comes to detox centers, there are many to choose from that will help you to properly and safely detox as well as set you on the path to sobriety. True Life recovery is a residential treatment center that specializes in alcohol detox. Our staff is here 24 / 7 to assist you in your detox for your comfort and safety. Our staff are especially attentive and supportive. Ongoing psychological support is available for all of our clients after alcohol detox. Our residential center is quiet, comfortable and private.